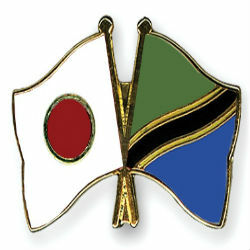 In a recent press conference in Dar Es Salaam, Japan International Cooperation Agency (JICA) announced to invest USD 200 Million in 2015, to support Tanzania’s socio-economic development. The JICA Director of African division Mr. Hajime Iwama indicated that the fund will be aimed at supporting agriculture and industry to reduce poverty by creating jobs. In industrial sector the main target will be small and medium enterprises (SME’s) while in agriculture JICA is looking at new projects, in addition to the ones it is already supporting in irrigation schemes and rice production. One of the key missions of JICA is to aid poverty reduction through equitable growth and the creation of employment opportunities. According to JICA 2014 annual report, in 2013 JICA programs in Africa totaled JPY 120.9 Billion of which 9.3 % or JPY 11.2 Billion destined to Tanzania. JICA’s support to Tanzania is primarily focused on economic growth toward poverty reduction, infrastructure development sustaining economic growth and poverty reduction and improvement of public services to all citizens.